The 2014 Lexus LX570 is a full-size SUV based on the Toyota Land Cruiser. It’s also a luxury sports utility vehicle that features full time four wheel drive and has little to no problem tackling your local ORV park. Infact, the Lexus LX was the first premium, full-capability prestige three-row luxury utility vehicle, and the latest edition, refreshed in 2013, to wear the bold brand-signature spindle grille front design. While many luxury buyers find an all-wheel drive crossover fits their needs, those requiring true off-pavement driving capability and high towing capacity find those capabilities with seating for up to eight in the LX 570. For nearly 20 years, the Lexus LX models have offered an optimal balance of luxury, off-road capability and everyday usability. It’s the luxury SUV that can take the whole family on a camping adventure, including towing the camper. The LX 570 comes standard with a 7,000-pound towing capacity. 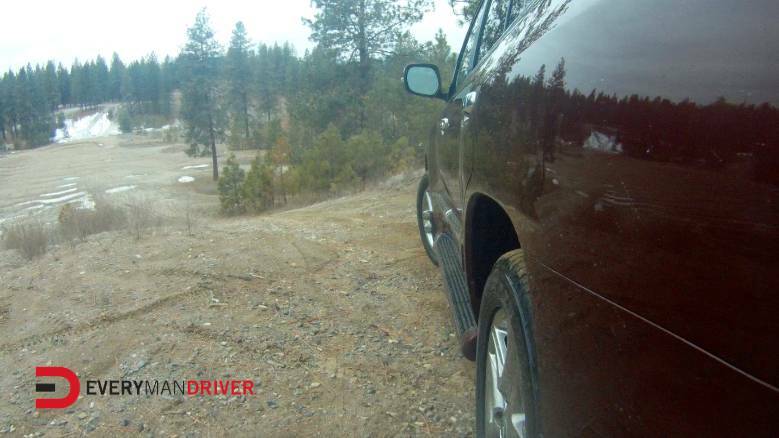 In this next series of videos, Dave from Everyman Driver and Melissa, from Everywoman Driver go head to head in an off-road challenge on the same off-road course to see who can handle and navigate it better. Below is how it played out.